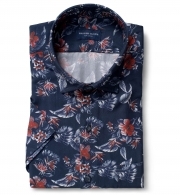 Our short sleeve shirts come in four standard sizes, small 14", medium 15", large 16" and extra large 17", along with three different fits to give you the best fitting short sleeve shirt. You can also create a custom short sleeve size. 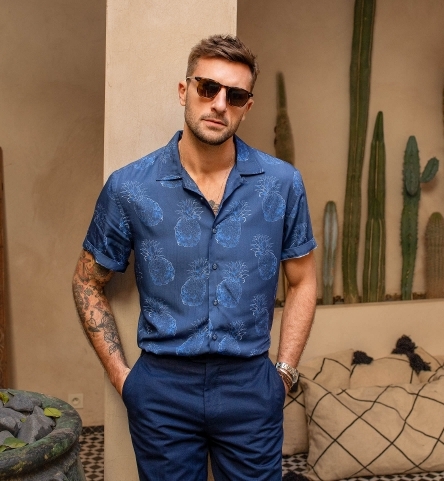 You haven't created a short sleeve size yet. 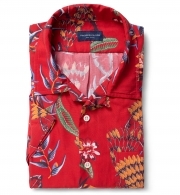 Often seen on Hawaiian and bowling shirts, it’s a quintessential casual collar. 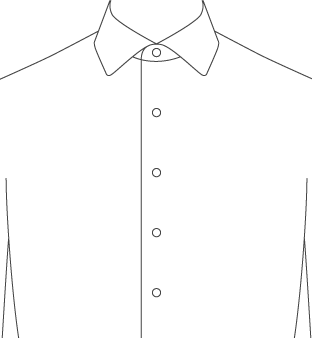 A clean, classic short sleeve finished with a 1” hem. Easy to roll up if you prefer an extra short look. 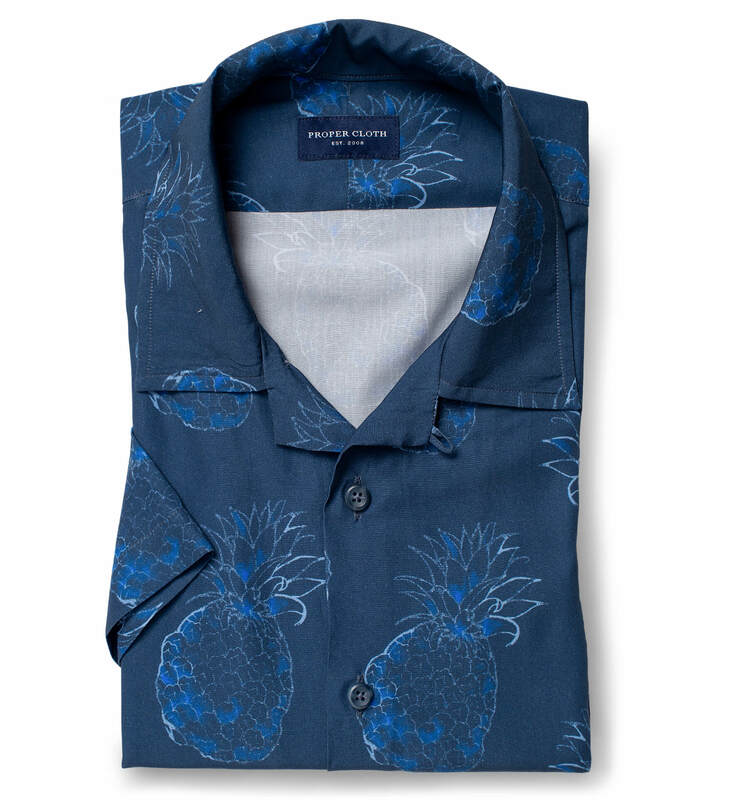 A striking blue pineapple aloha printed tencel fabric from Albini. 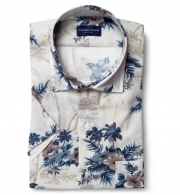 Tencel is an eco-friendly fiber that comes from wood pulp with some incredible performance characteristics. 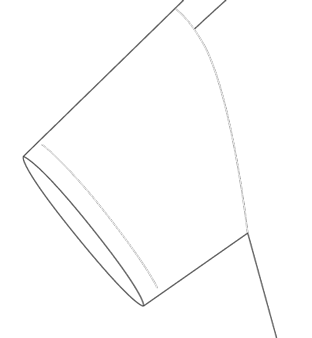 It's more absorbent than cotton, softer than silk, and it wears cool on a hot day. 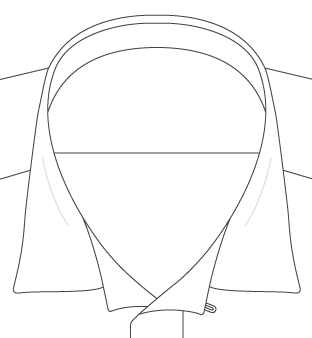 Tencel drapes similar to silk and rayon, while being easier to care for than either fabric as it’s machine washable. Another characteristic of tencel that we love is that it can be easily dyed and that it takes color beautifully. 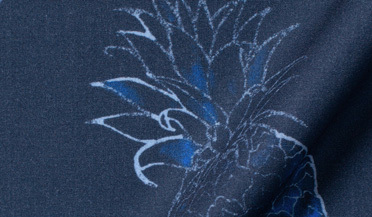 The blue ground color of this fabric is vibrant with just a hint of sheen and the tonal pineapple print is lighthearted and eye-catching. Due to the silkier drape and feel of tencel, we recommend going with soft details all around for an easy-going shirt you won’t want to take off. This is a limited-edition style that will not be available again once it's sold out.